Ladies in Black: Immediate and Transformative Action is Needed at Every Level | It's Up 2 Us! 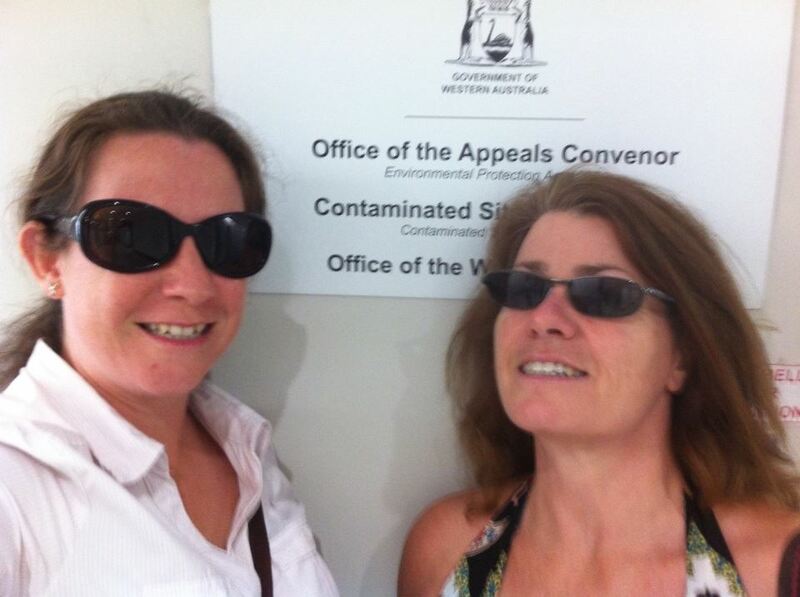 Yesterday Tanyia and I headed to the Appeals Convenor to discuss the Environmental Protection Agency’s decision not to assess the exploratory Fracking of 4 wells in the Kimberley. The meeting went well, but don’t be fooled into thinking that means we said anything that made a substantial difference. You see the EPA have stated that the carbon emissions from this project are ‘insignificant’. Only 130 tonnes over the 3 months they expect to be doing the exploration. There are so many reasons that Fracking is a bad idea but for now let’s focus on Climate Change. In 2 days time the IPCC will release their latest report which will focus on the impacts of Climate Change. “This is an emergency. Immediate and transformative action is needed at every level: individual, local, and national; personal, political, and financial. Countries must set aside differences and work together as a global community for the common good, and in a way that is equitable and sensitive to particular challenges of the poorest countries and most vulnerable communities. In this context 130 tonnes is not ‘insignificant’. It’s dangerous and irresponsible. Tanyia and I have both made some pretty major decisions over the past few months to prioritise our taking ‘transformative action’. When we listen to the evidence and the warning calls of the scientists we understand that there is no option but to act. My work as a Climate Campaigner is Crowd Funded. Your contribution would be appreciated.